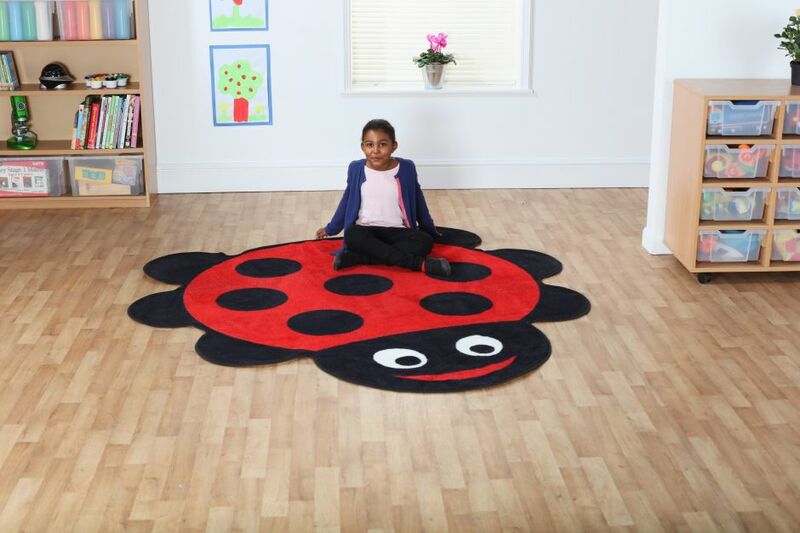 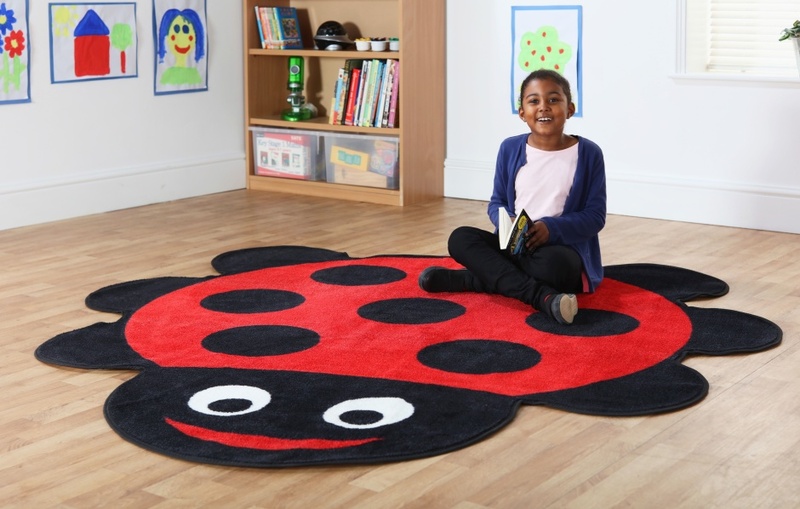 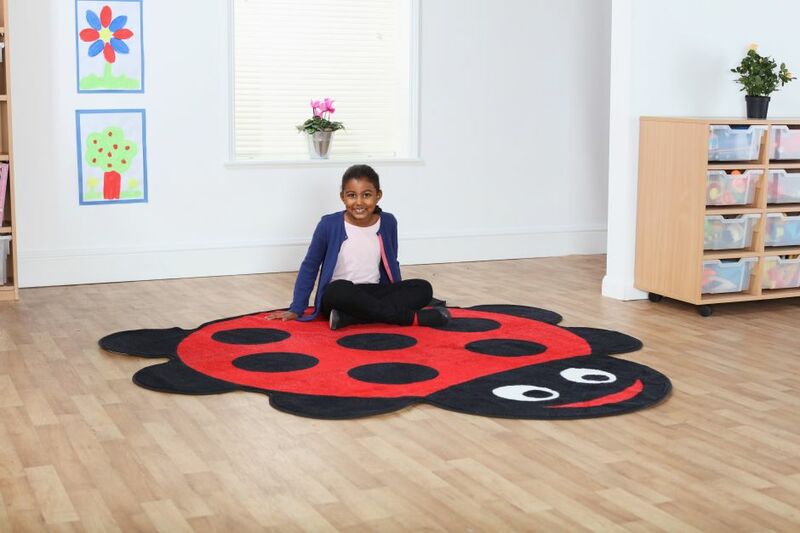 Highly colourful and attractive ladybird shaped placement mat. Great for reading areas or in the classroom as a bright occasional mat and carpet. 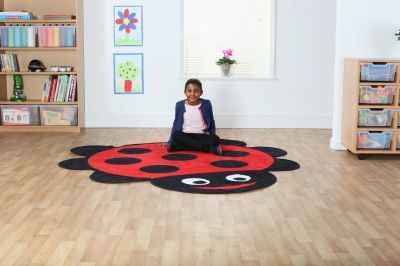 Passes all relevant fire and safety standards.